“It is an Anishinabek worldview. Everything is related. I am related to you. I am related to the land. I am related to all the creatures on the land. They are my cousins. My kin. I am related to my spirit, to elements, to creator, to myself,” explains Jesse Thistle, a Metis-Cree PhD student from York University. This is an Indigenous concept known as All My Relations, and according to Thistle, it can help redefine Indigenous homelessness while also improving the way we interact with one another. Thistle uses this term in his report titled Definition of Indigenous Homelessness that he released in September after consulting with Indigenous people across Canada. The term is used to describe how we are all related and responsible for each other. Thistle explained that if, using this worldview, you see yourself in relation to all things, then even with something as simple as a river, you wouldn’t have the right to exploit it. Unfortunately, due to systems of colonization like the residential school system and the 60s Scoop, these relationships have been stripped away. 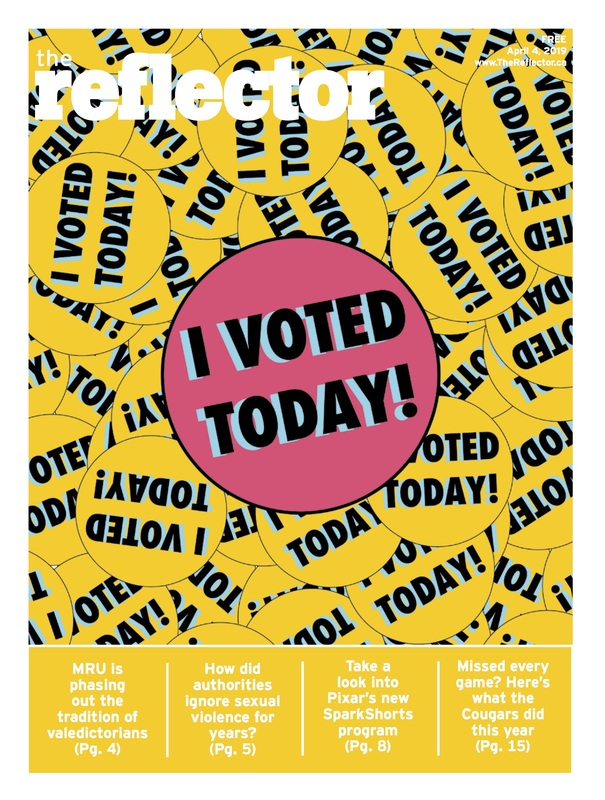 “These went after the relationships of Indigenous people within their home. So it destroyed relationships literally,” he said. According to Thistle, this loss of relationships is how we should be defining Indigenous homelessness. Instead of focusing on a lack of housing, Indigenous homelessness can be seen through the loss of Indigenous people’s relationships to the land, their family and culture. 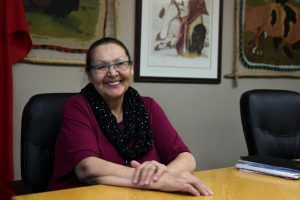 This loss of culture is something Jackie Bromley, Blackfoot elder and housing advocate and cultural lead at Awo Taan Healing Lodge Society, experienced growing up in southern Alberta. 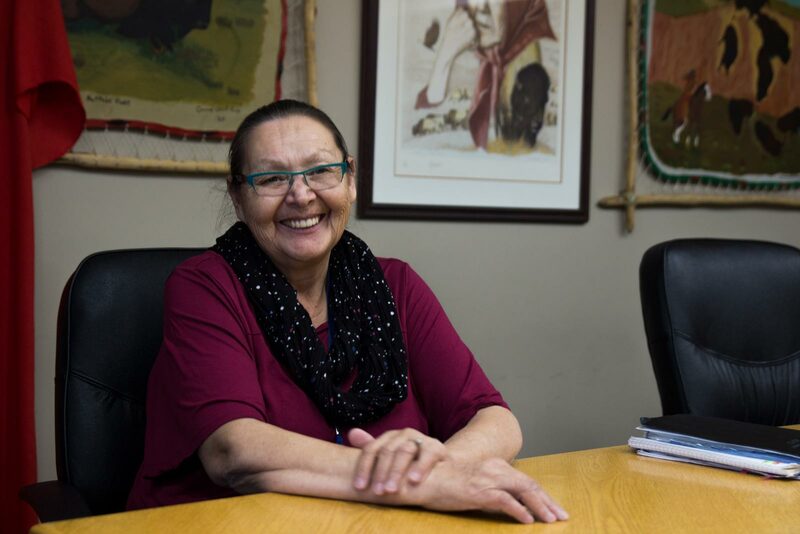 Bromley was born on the Blood Reserve and attended residential school for four years and base school — where they were bused in for the day —for another four. She said the trauma from residential school was passed down from generation to generation — from her great grandmother all the way to herself. “So you can just imagine,” she said. During her time in residential school, Bromley wasn’t able to speak her language or practice her culture, which was very difficult for her. After, Bromley found herself in a difficult place. She became a mother, but her relationship with her children was strained because of the pain she was suppressing. But when Bromley started reconnecting with her culture, she began to find inner healing. “If it wasn’t for our spiritual ways, I think I would be homeless,” she says. Thistle has also experienced the power for reconnecting with his culture. At three years old, Thistle was uprooted from his Indigenous community when his family fell apart. He became homeless years later, and he believes it stemmed from the disconnection he experienced. “Through reconnecting with my identity and community and my mom and her people, I in many ways found home again,” he says. Thistle believes without this new understanding of Indigenous homelessness, we will not solve the problem we are seeing. “We have been treating the first half of the problem. We have been working on fixing and putting people in homes – which is important and we still need to do – but the second half of the equation is restoration of these relationships,” he says. But this understanding of relation doesn’t just have to be for Indigenous people. Instead, Thistle believes it is one of the ways we can learn from each other. “Instead of just focusing on putting someone in a house and saying ‘oh they are housed, they are not homeless anymore,’ we can focus on the relationships of the people within that house. And that really has the potential to keep people off the streets long-term. For Indigenous and non-Indigenous,” he says. Although Thistle’s definition hasn’t made any concrete changes to policy yet, he does see a lot of room for this knowledge to impact multiple sectors. “I’m hoping that it will help policy makers see that the scale of Indigenous homelessness is so vast because there is a whole second half of the equation that is not being addressed and that is the whole break down of these relationships,” he says.